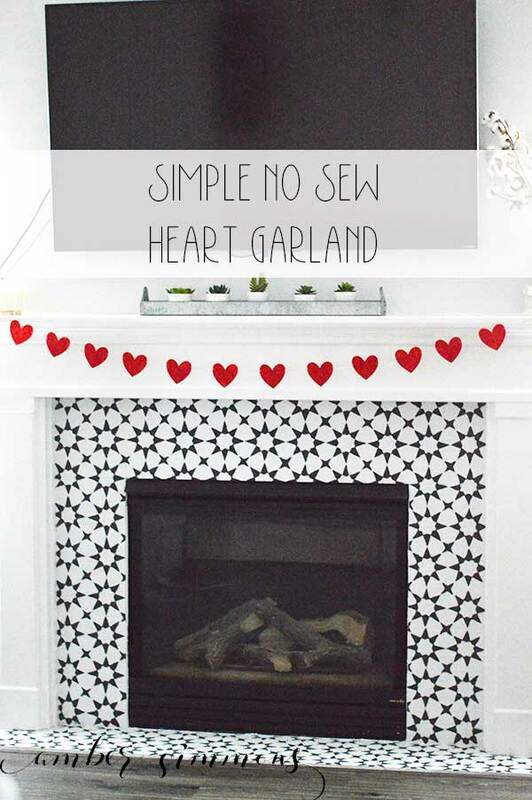 This simple no-sew felt heart garland can be made in just a few minutes, making this quick craft perfect for craft day, girls night, or a last-minute decoration. 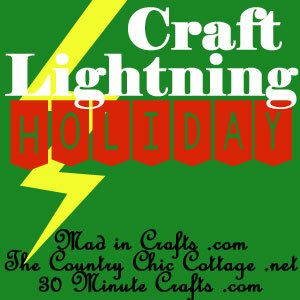 I am excited to share this project with you today. I don’t know about you but once I take down my Christmas decorations I am at a bit of loss. My house looks bare, but I am not quite ready to put out my spring stuff. 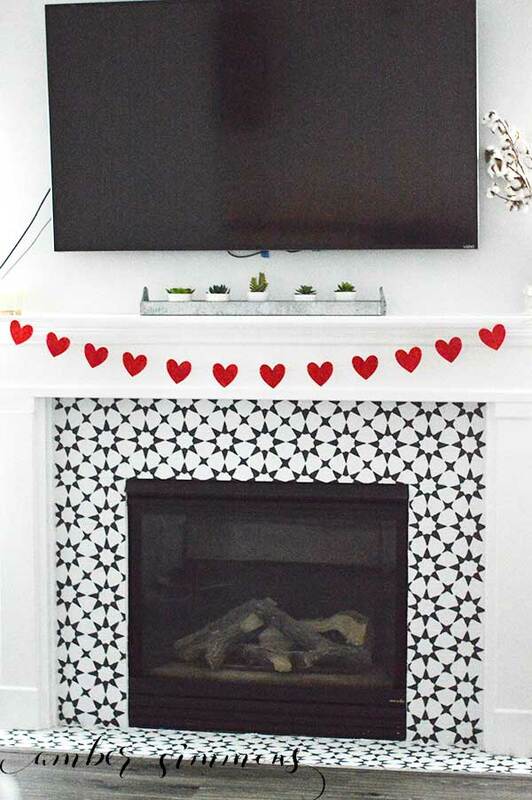 I don’t have a lot of Valentine’s decorations, but this cute garland is so simple it will have you wanting to but up Valentine’s decor. I made this using my Cricut Maker, but you can use any machine that allows you to cut felt. 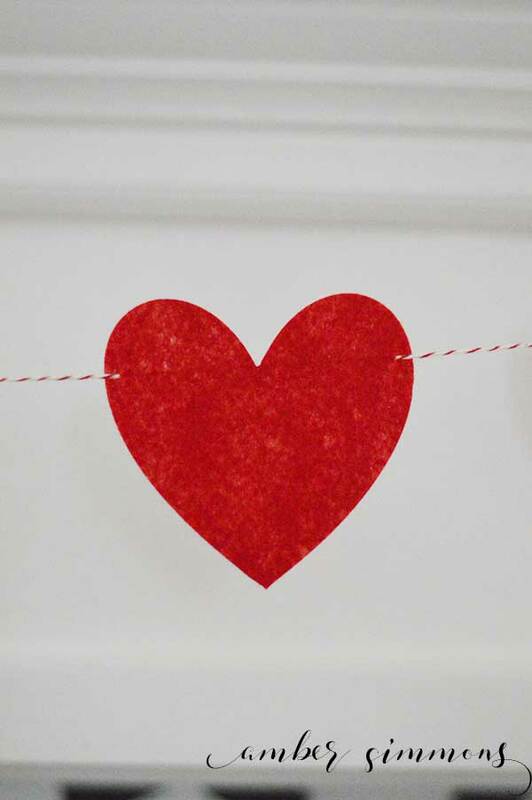 I opened up Design Space and inserted a heart. I just chose the one under the shapes option. 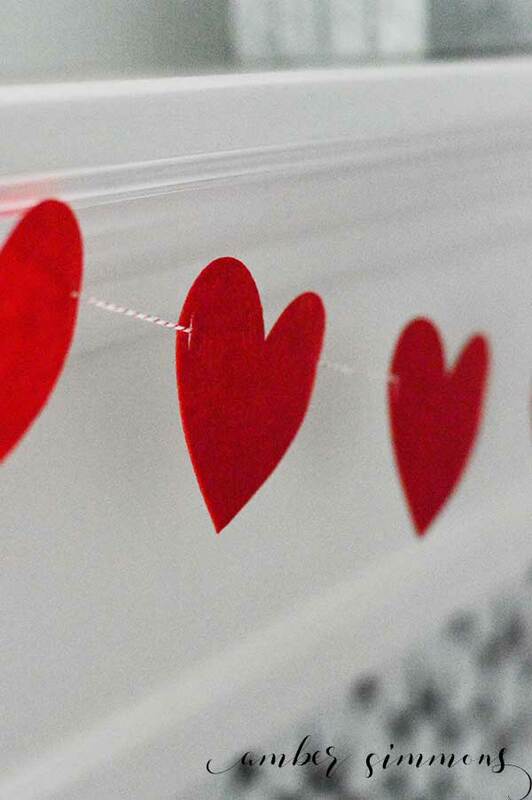 I added two cut lines to the upper sides of the hearts. The cut lines are under the shapes option as well and start out as score lines. If you go too low on the sides your heart will be top heavy. And if you go too high you’ll be able to see the string above the upper point of the heart. Once the heart was to my liking, I then played around with size and placing to get twelve hearts in a 12 x 12 cutting area. You can do whatever size you want, but this made a dozen 3″ x 3″ hearts. Want to just get cutting? Use my cut file! I put the Cricut brand felt in my Maker and used my rotary blade to cut them out. I love the rotary blade. It gives nice, clean cuts every time. When they finished cutting I pulled them from the mat and they were ready to string. I used red and white bakers twine, but you could use ribbon, yarn, jute, or anything else you would like. I strung all of mine so the biggest span of sting on the heart was across the back. However, it would look cute on the front as well especially if you added some arrow points and feathers on either side of the heart. And you are done! See how easy? 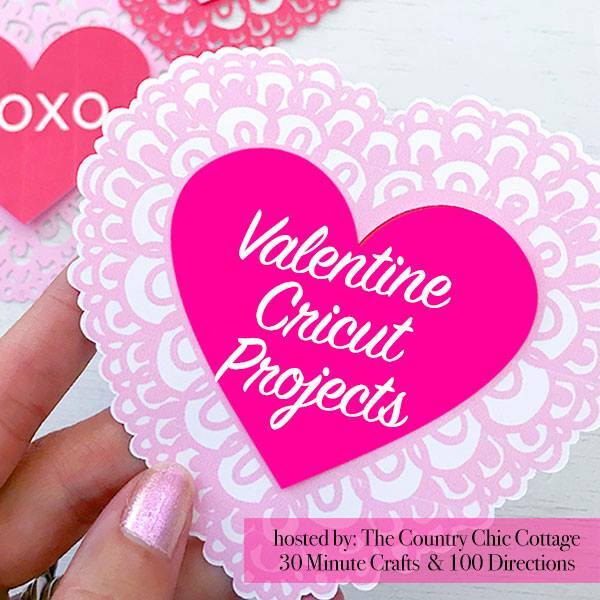 Be sure to check out these other cute Cricut Valentine ideas.